Russia’s Defense Ministry released footage Thursday of its fighter jet intercepting a U.S. reconnaissance plane over neutral waters near its western border. The video shows a Russian Sukhoi Su-27 Flanker approaching and shadowing a U.S. Air Force RC-135 plane over the Baltic Sea. With tensions on the rise, Russia and NATO countries have increasingly scrambled their jets to intercept each other’s aircraft in recent years. Plane spotters tracked the RC-135 as it lifted off from Britain to conduct a reconnaissance flight along the border of Russia’s Leningrad region on Tuesday. 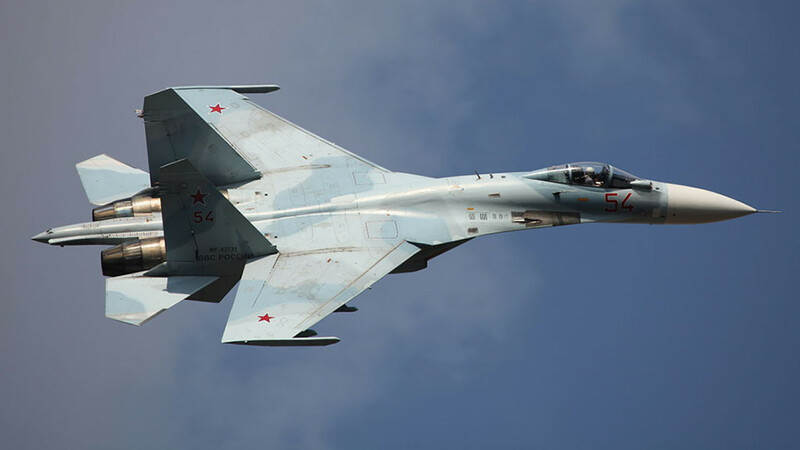 “After the withdrawal of the foreign aircraft from the Russian state border, the Russian fighter safely returned to the airfield,” the Defense Ministry wrote early on Thursday.